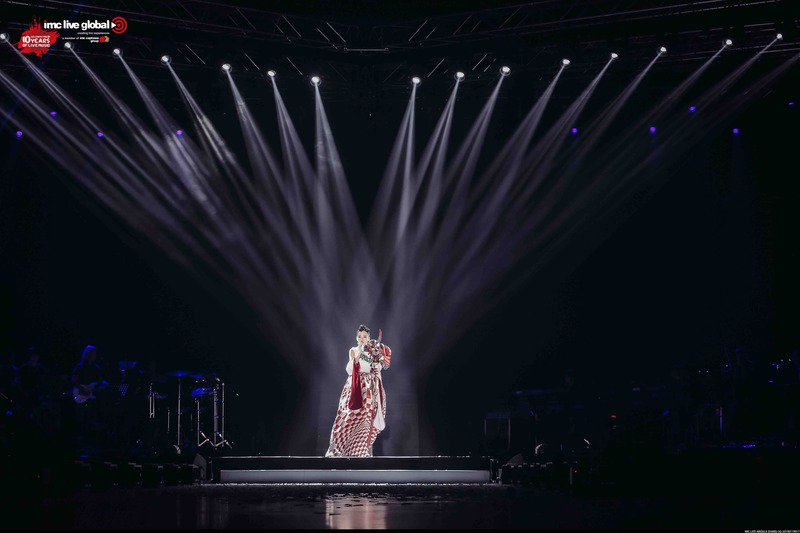 Instead of celebrating her birthday with her family and friends, Taiwanese singer, Angela Zhang (張韶涵) chose to spend the night with her fans, performing at her new JOURNEY「 旅程 」 World Tour 2019 concert round in Singapore. The tour follows a successful run in 2018, and her ardent fans were delighted to have her back in town again. Other than her fans in Singapore, her fans from other countries also flew in to spend the special day with their idol. I attended the one-night only concert and it almost felt like a family affair, with surprise birthday banners and posters printed and distributed on all the seats with precise instructions on what to do when specific songs are sung. I joined in the celebration when the moment arrived and found myself immensely touched by the bond between Angela and her fans. These guys knew each other intimately through the years of Angela’s career and during the concert, I almost felt I was part of their family. A particularly heartwarming moment was when Angela dedicated one of her songs to a special male fan in Singapore who is wheel-chair bound and on some form of respiratory support. His parents were with him in the concert hall and they attended Angela’s previous concerts with him whenever she performed in Singapore. Related Post: Omega Gang vs the Singapore government? Tears welled up across the audience as Angela shared words of encouragement for her fan, praising him for his fighting spirit and expressing her wish to continue to perform for him as he soldiers on each year. The male fan looked on with pride as tears rolled down his cheek which his mum gently wiping them away. Songs and music can heal the weary soul and this brief bond between a singer and her fan was clear evidence. Angela Zhang has come a long way from her early start in the 2000s as a teenage idol, kickstarting her career acting in popular sappy Taiwanese idol dramas like ‘My MVP Valentine’, ‘Bump off Love’ and ‘Romantic Princess’. The singer has since released more than nine albums after singing the title songs for the dramas she performed in, and is known for chart-topping hits such as ‘Invisible Wings’, ‘My Lost Happiness’, and ‘Dear, That’s Not Love’. This was the Angela Zhang I knew from my growing up years. She was big during the heydays of the Taiwanese boy band, F4 and the hit idol series, Meteor Garden. That was when Taiwanese pop culture was all the rage, before K-pop came and swept everything else away. Angela’s fans have stood by her all through the decade and they have matured along with her as her career went through its ups and downs. Last year, Angela made a grand comeback from her hiatus when she appeared in popular Chinese television show, ‘Singer 2018’, as the first female speaker in the program in the last six years. Covering classic hits such as ‘Walking in the Air’ and ‘Ah Diao’, she also performed a rendition of her classic song, ‘Flower in the Wonderland’, garnering millions of views on YouTube. The JOURNEY World Tour is said to reflect the story of Angela’s life, which includes a chapter spent in Singapore with her family when she was a teenager. 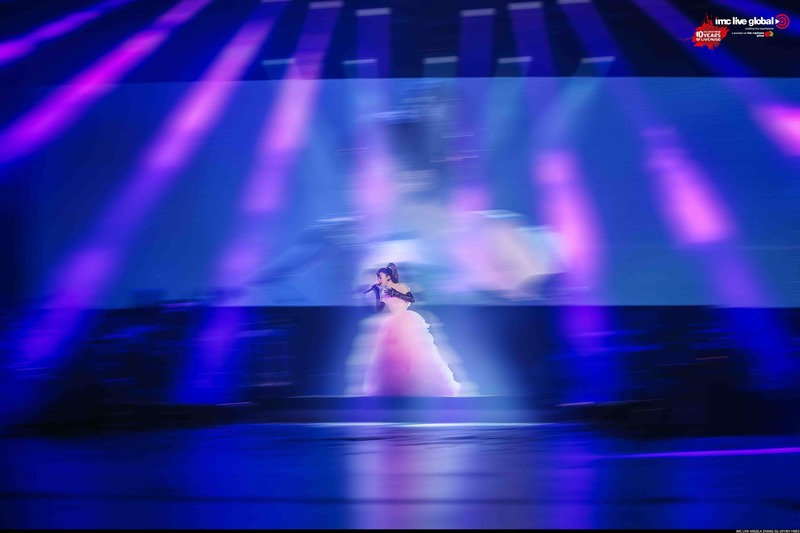 The Singapore stop featured a night packed with chart-topping hits from Angela’s musical career of over 18 years, and rearrangements of classic hits, spectacular dance choreography and costume changes. The highlight for me was being able to witness the intimate bond between Angela and her fans. After a surprise birthday segment whereby Angela was presented with a ‘Princess Cake’ on stage and greeted with a montage birthday wishing video featuring her fans from around the world, she invited everyone to gather near the stage so she could interact with her fans directly. Cameras and video recordings are not usually allowed during concerts, but this was relaxed so her fans could record precious keepsake moments, up-close with their idol. Related Post: Pro-Wrestling in Singapore? Yes – such a thing exists! Angela is back again and with newfound fame. The unwavering support of her loyal fans paid off. Angela Zhang’s JOURNEY「 旅程 」 World Tour 2019 was produced by IMC Live Global, a multi-disciplined concert and event management company headquartered in Singapore with satellite offices in in China, Greater China (Taipei & Hong Kong), Malaysia and Thailand. Since the company’s inception in 2008, they have successfully carved a niche in the concert industry, spanning 8 countries and 30 cities and produced more than 312 concerts to over 5 million people. After analysing 12 billion plays, which Songs and Artists Top the Charts at KKBOX?